Cut your energy bills in half! Most conversions take less than a day. Switching from old, energy-sucking halogen light bulbs to Avario smart LED lights will make the single largest impact on energy use and subsequently your monthly lighting energy bill. With several easily retrofittable light solutions available, we can quickly and easily swap out your old lights in just a few hours. Not only will you significantly lower your energy use, but you will also add several new light features to your home. 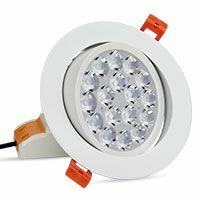 Avario Smart LED lights provide high quality, dimmable, flicker and noise free light that can be tuned to match the exact quality of light that you require for your space. With our wireless digital controls, you can set your lighting to perfectly match the mood, task, time of day, or season. These advanced lighting options can provide a better, healthier environment, increase your energy levels and help you get a better sleep. Our wireless switches provide advanced controls for your new lighting. From traditional on/off to digital dimming, scene selection, and temperature control you have full control over every light in your home from one switch. We make retrofitting easy, fast and mess free. For a full demonstration of how our switches work, take a look at our video. *Calculations are based on a 95w halogen bulb vs a 9w smart bulb, used for 10 hours a day on average, 365 days a year. Monthly bill is calculated based upon a 4 bedroom home with 160 light bulbs. The Avario Control System is ‘brains’ of the intelligent ecosystem. It talks to all the system components and makes sure things run smoothly. All of our installs include our energy efficient, smart LED bulbs. YES. you read that correctly, we INCLUDE bulbs (ask the competition if they do that!). 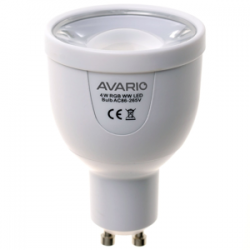 Avario lights are not only smart, they are also packed with features like being able to emit warm and cool light, and smoothly dim with no annoying buzz or flicker. In fact, we guarantee it. Accentuate your space! Our light strips go anywhere you can get a wire to. Put them in coves, on stairs, under shelves, around doors, in cupboards, behind mirrors, got any more ideas? Tell us. Most traditional HVAC systems provide simple controls that are rarely programmed for efficiency. Avario’s HVAC control system provides an extra layer of intelligence to your standard HVAC, cooling or heating system ensuring you are only using the energy you need. Let Avario control the opening and closing of your blinds and curtains. Use Google Home or Amazon Alexa to control your smarthome with your voice. Our dedicated control tablet is a fast, high-resolution control system for your entire home. The Avario App is the ultimate smart home command centre. It connects directly to your system and allows you to control and manage all of your system’s features, such as lights, temperature, cameras, audio/video equipment, smart door locks and more. 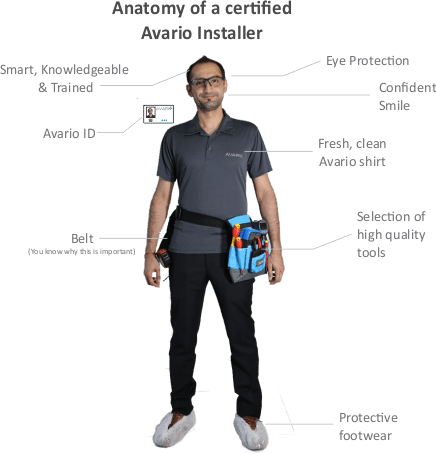 All of our installers are trained and certified to ensure that you get the best quality install and service possible.